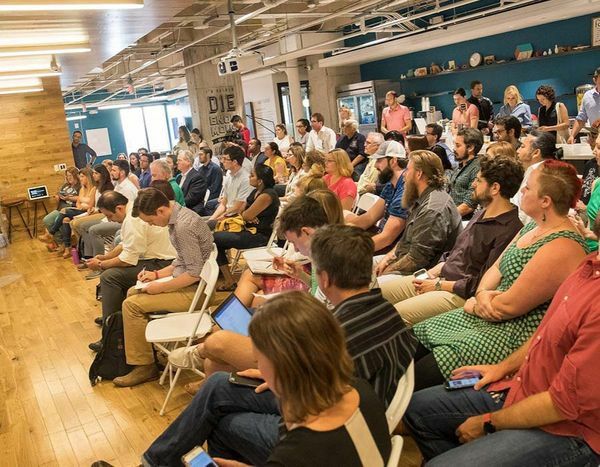 Join us on election night for an evening of lightning talks about design for the civic good hosted by Austin’s Chief Equity Officer, Brion Oaks. We'll be announcing the polls as they come in, and engaging in civically minded interactive stations throughout the evening. How the City of Austin is training city staff in how to develop resident-centered, accessible content and by building the future of austin.gov to be focused on the services people need. Introducing Austin’s new Office of Design & Delivery, which provides a new approach to design and technology at the City of Austin that puts residents first. Starting a dialogue between Austin's artist, maker, and design communities and cause-based organizations in our city. A review of work that’s happening around the US and internationally in the growing field of civic design, including work from the Lab@DC, NYC Mayor’s Office, US Digital Service, UK Digital Service, and the Organization for Economic Cooperation and Development in Paris. Learn about Austin Tech Alliance’s work with several partners in our community on research and design projects which inform and impact residents.